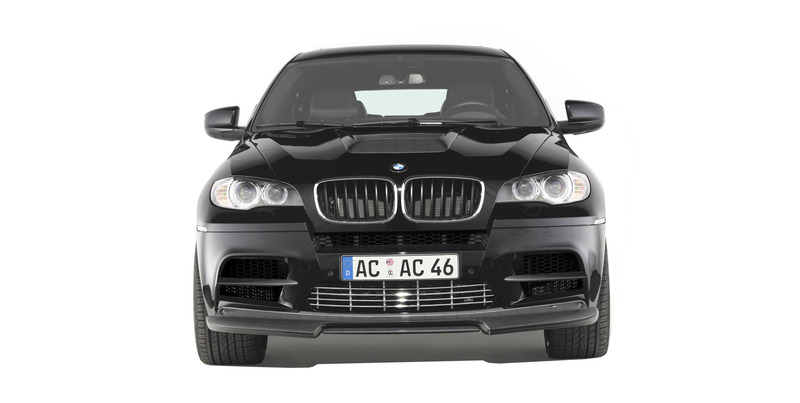 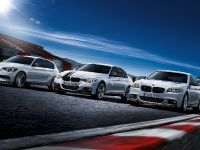 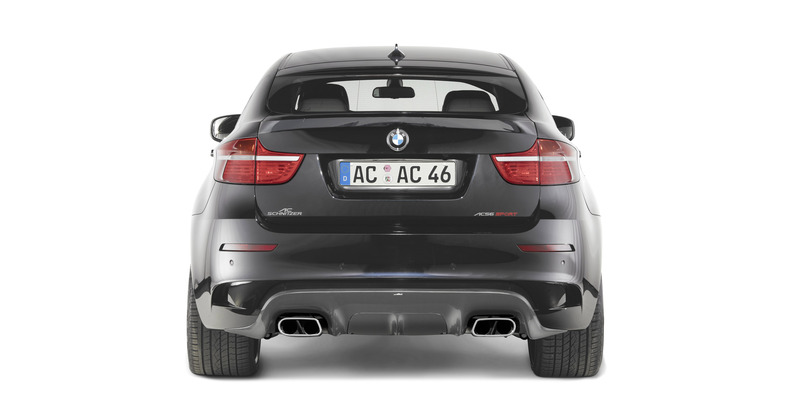 AC Schnitzer is based in Aachen, Germany and it is one of the top tuning specialists for BMW. There is a Schnitzer version of almost every single BMW model. 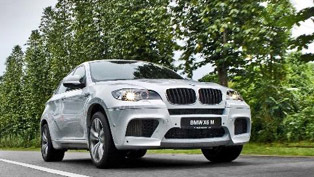 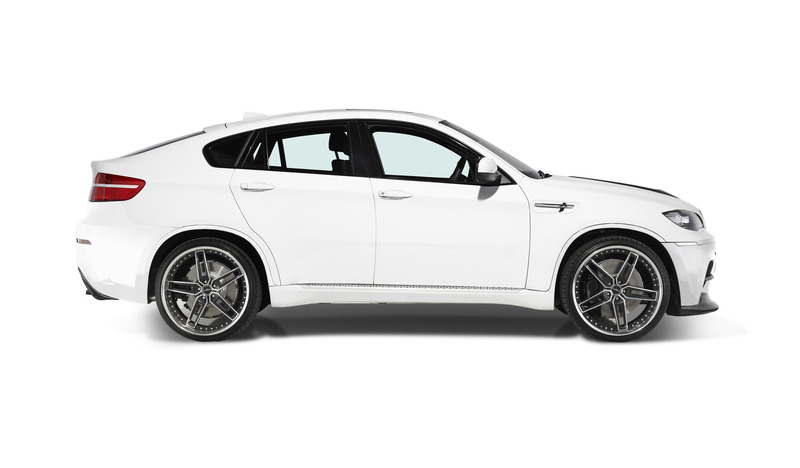 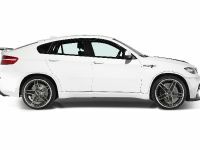 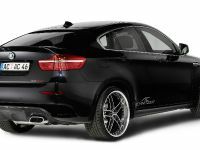 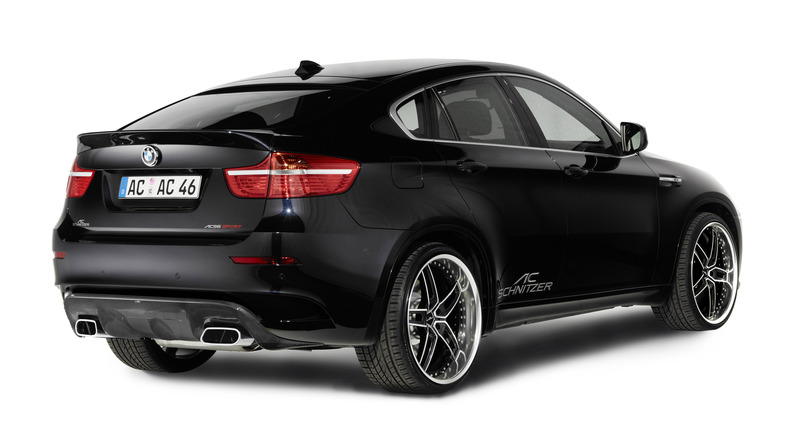 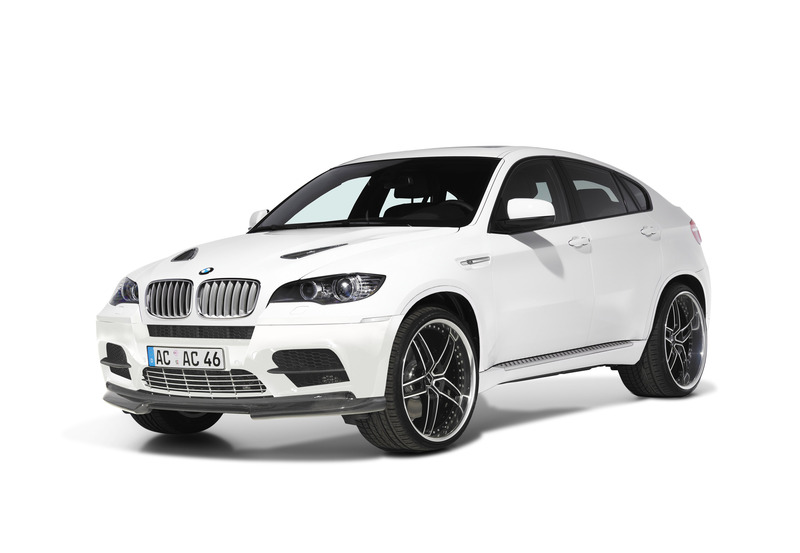 Now, it is turn of X6 M.
AC Schnitzer BMW X6 M is faster, more powerful and better looking than the original SAC. 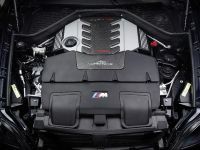 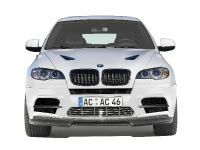 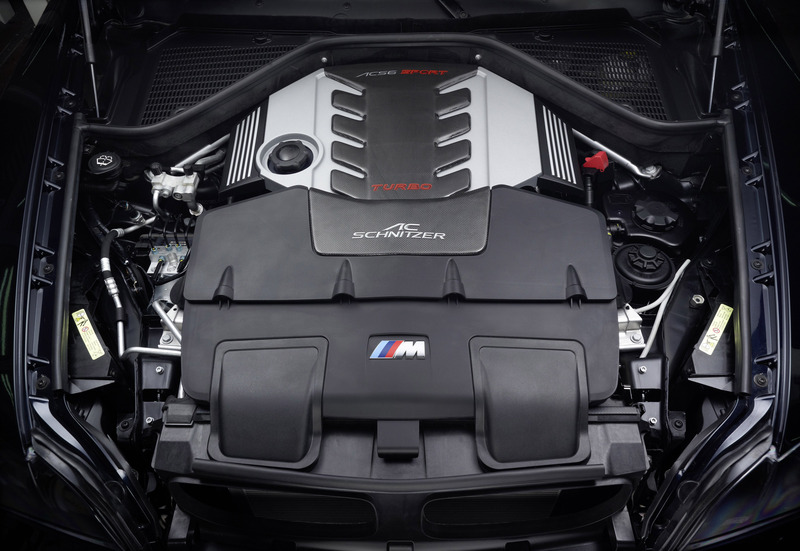 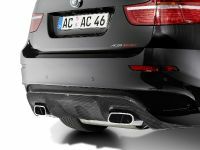 The company is currently working on performance upgrade which, in combination with removing the Vmax limiter and a sports exhaust, will bring more satisfaction and driving pleasure to the owners of of the X6 M.One of the special features for the SAC is carbon fibre AC Schnitzer engine styling. 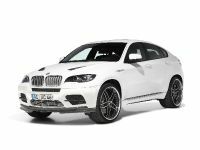 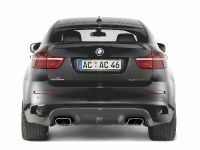 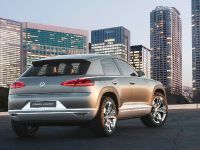 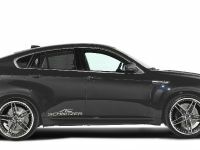 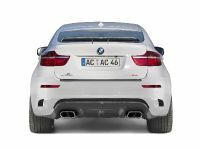 Additionally, the sound of ACS X6M is boosted by sports rear silencer with two chromed "Sports Trim" tailpipe trims in right/left combination. 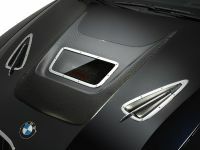 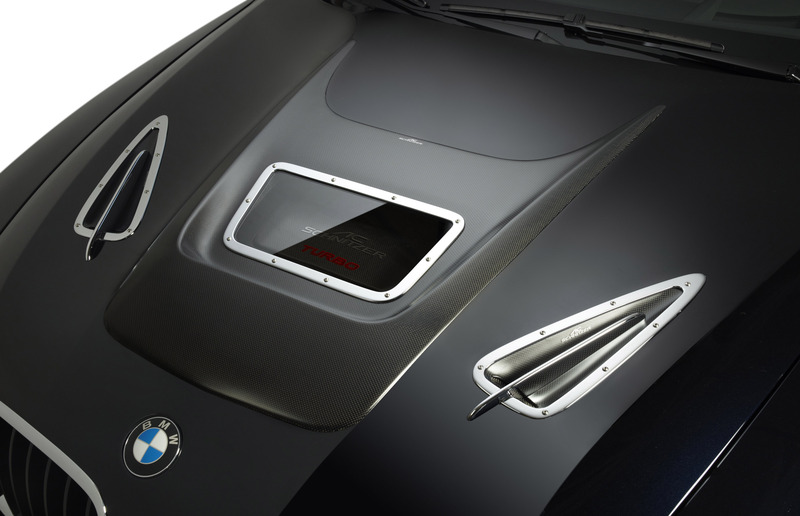 One of the top highlights is the new AC Schnitzer Bonnet Top of carbon with plexiglas panoramic window through which the engine is permanently visible. 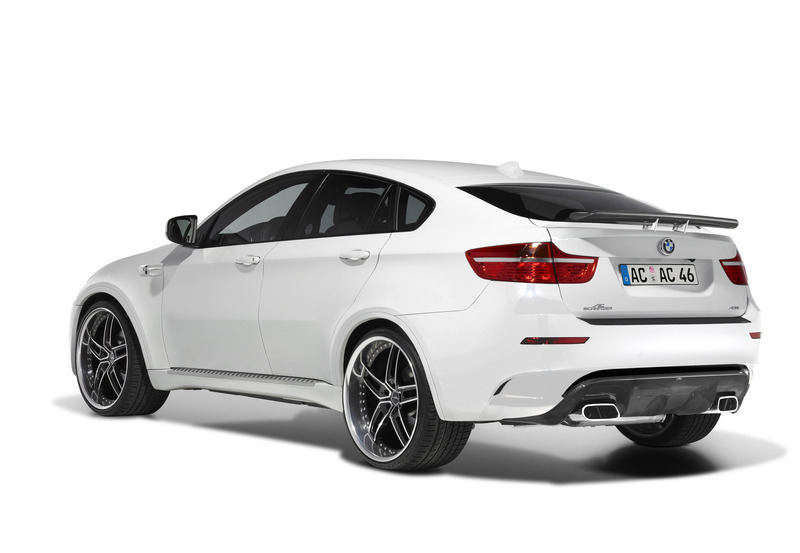 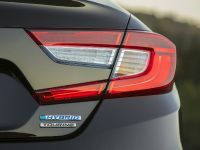 The overall width of X6M is almost 2 metres ( 198cm ), but AC Schnitzer has adapted the FALCON wheel arch extensions so that the BMW body gains an extra 40 mm width each side to gain overall width of 206cm. The interior is also refined by ACS. 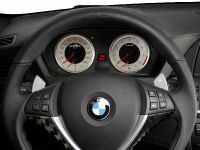 The speedometer and rev counter now have AC Schnitzer logo, white dials, red pointers and red lighting, what is more the speedometer is up to 360 km/h. 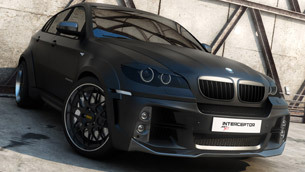 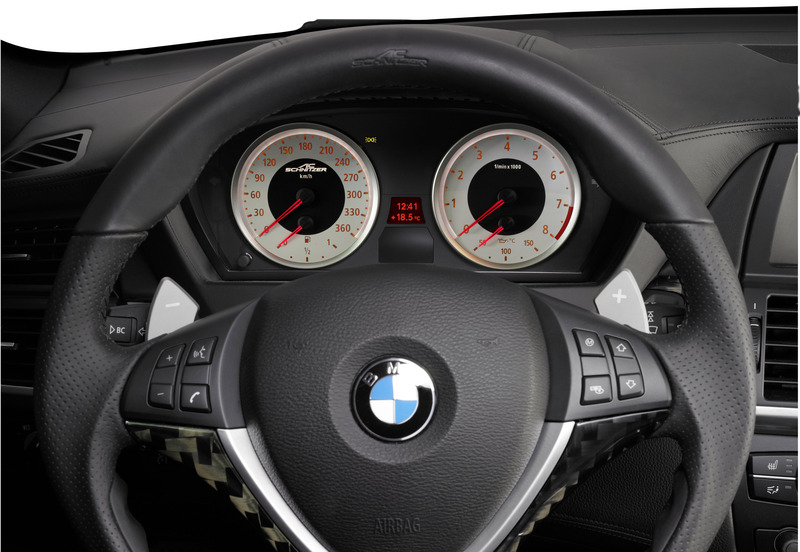 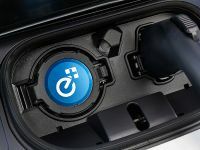 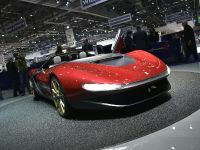 The Sports Activity Coupe also features carbon interior trim and the ACS steering wheel spokes in new "black Exclusiv" design and the AC Schnitzer aluminium cover for the i-Drive system controller, aluminium footrest and pedal set, and velour foot mats, round off the interior package. 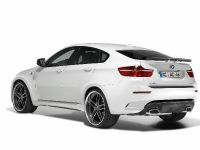 The wheel choice is between 20", 22" and huge 23" in Type IV BiColor, Type VII silver, black or BiColor, or the AC Schnitzer forged alloys Type V or forged racing rims Type VIII BiColor. 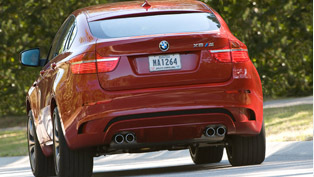 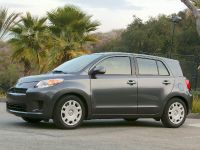 The tire combination is 275, 315, 295 and 335. 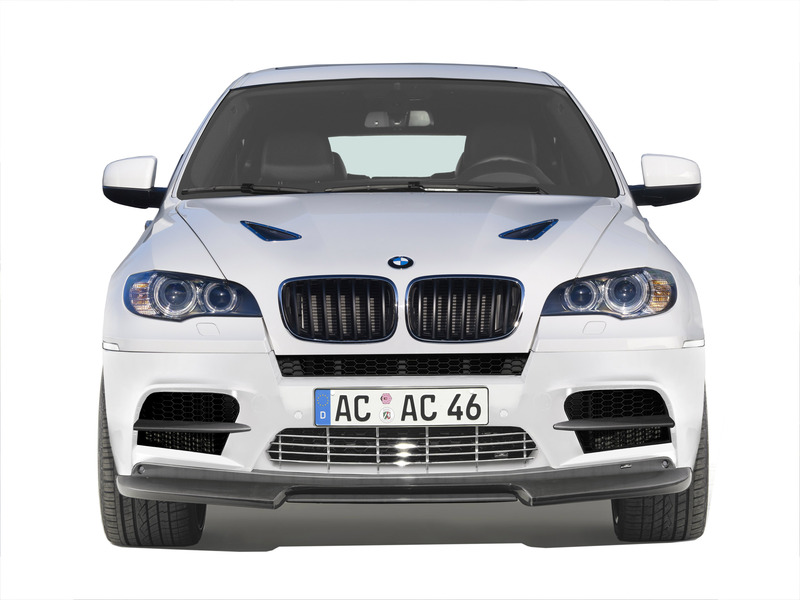 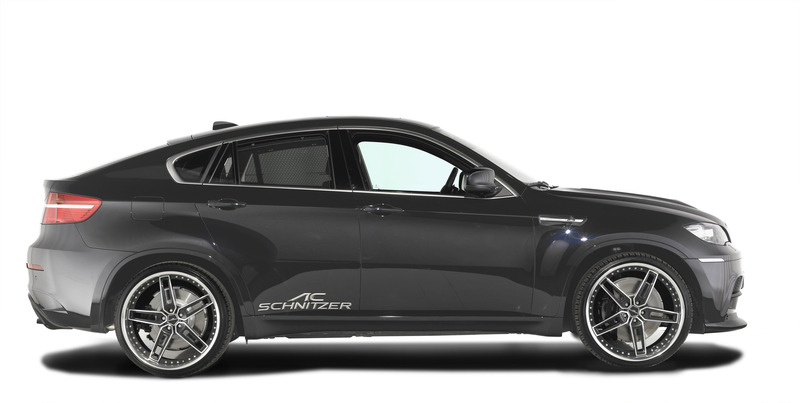 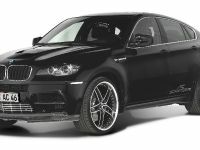 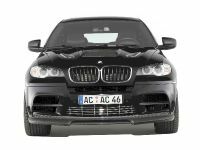 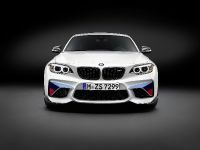 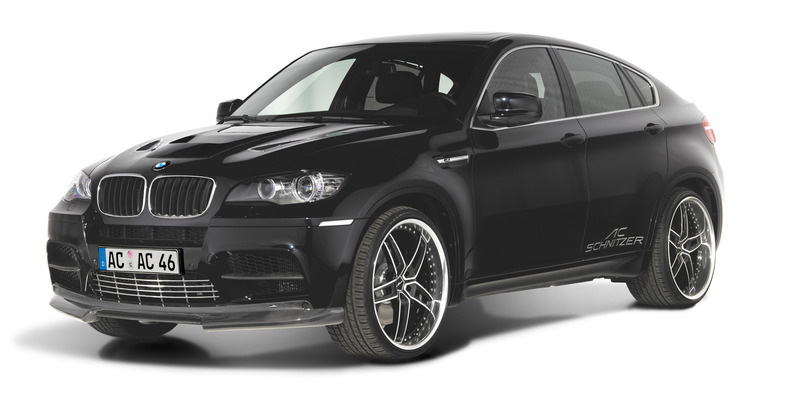 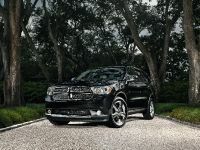 There is no doubt, that the muscular AC Schnitzer X6 M will be respected by everybody on the road. 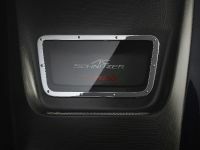 AC Schnitzer carbon interior "black Exclusiv"
AC Schnitzer steering wheel insert, carbon "black Exclusiv"